In order for the plague to come back full force and kill all of us with festering boils, three things are needed: A carrier, a transmitter and a pathogen. It may be too early to panic, but a new study reveals that New York City has two of the three components necessary to make a really good Criminal Minds episode. The study, published in The Medical Journal of Entomology looked at what the parasites living on the bodies of rats have been doing lately and is the first of its kind since the 1920s, according to Newsweek. 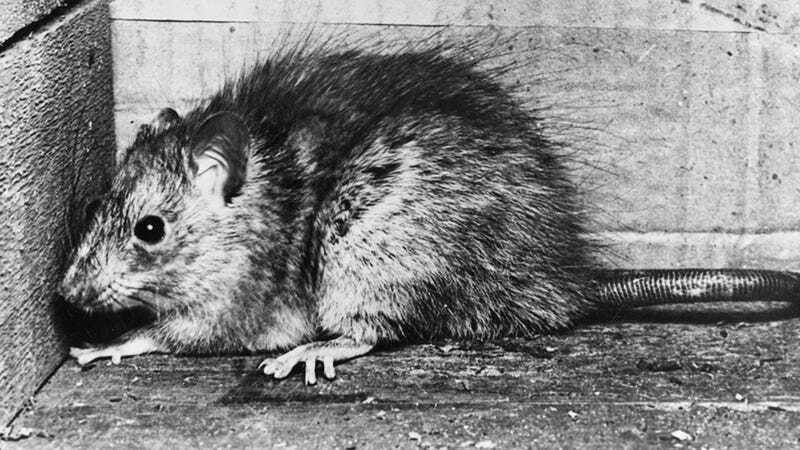 Researchers found lots of different bugs all over NYC's rats, but the one that is most concerning is the Oriental rat flea, which can carry and transmit the plague, typhus and other bacterial infections. Researchers collected more than 100 rats from five locations throughout Manhattan. Most of the Oriental rat fleas came from specimens found in a single residential building, in an unspecified area of the city. But many of these rats from this one location were teeming with the fleas. When [Matt] Frye killed the rats and went to comb the parasites out, "they were pouring off the dead rodent," he says. Pouring off. What a beautiful and not-at-all-terrifying way to describe the mass exodus of disease-carrying fleas off a freshly dead rodent. Good thing there's currently no pathogen, which is the third component needed to bring Europe 1346-53 to the future! A study in October, involving some of the same scientists behind this research, found 18 previously unknown viruses in New York City rats, some of which are very similar genetically to variants known to infect people.